Mr. Niranjan Gupta carries a rich and diverse experience in finance leadership roles in Unilever and Vedanta Resources. 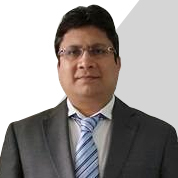 In his career spanning more than two decades, Mr. Gupta worked with Unilever in various capacities including Global Finance Director of Household care and Hair category in Unilever, London. He also served as Procurement Head of Unilever, South Asia driving supply chain synergies and competitive sourcing. Prior to joining Hero Motocorp, he was the CFO for the Aluminium and Power vertical of Vedanta Group. Mr. Gupta is a B.Com. (Hons), Chartered Accountant, Cost Accountant, and Company Secretary.